Apevia ATX-VS450W Venus Series 450W Power Supply with 1 x 120mm Auto-Thermally Controlled Black Case Fans. 1 x 20 /24pin Main Power /1 x 12V(P4) / 2 x SATA/ 4 x Molex/ 1 x Floppy Connectors. 115/230V Switch, 5% Tolerance of 5V, 3.3V & 12V Output. Max. Output Current +3.3V(16A), +5V(16A), +12V(32A), -12V(0.3A), +5Vsb(2.5A), Circuit/Over-Current/Over-Voltage/Over-Power/Under-Voltage/Over-Temperature Protections. For safety, do not overload, abuse or modify the power supply unit. 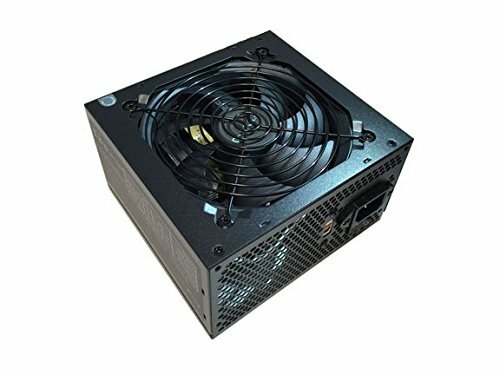 Use of this unit for Bitcoin Mining is not suggested since it will shorten the life and cause failures of power supply. Use for mining purposes is not covered by warranty.